On October 14, 2016, the Council of Ministers approved the Establishment of Ethiopian Space Science and Technology Institute and Council, pursuant to article 5 and 39 of the Definition of Powers and Duties of the Executive Organs of the Federal Democratic Republic of Ethiopia proclamation No. 916/2015. 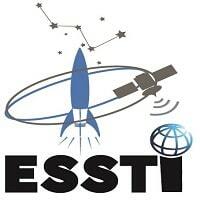 The main objectives of Establishment of Ethiopian Space Science and Technology Institute(ESSTI) are to enable the country to fully exploit multidimensional uses of space science and technologies; to produce demand based knowledgeable, skilled and attitudinally matured professionals matured professionals in the field of aerospace science that enable the country to become internationally competitive in the sector; to develop and strengthen space science and technology infrastructures to speed up space science and technology development in the country; and enable the country to be robust contributor for the development of aerospace science and technology. The Space Council will have power and duties to provide directions and leadership support by evaluating space science policies, plans and strategies. It will also provide the necessary guidance and support for the proper and timely implementation of the Space Science and Technology plans of ESSTI. The Approval of the ESSTI is one big step forward for the development of Ethiopian Space Science activities that will give advantage for Ethiopia to be effective and extensive user of space science and technology for its sustainable developments.